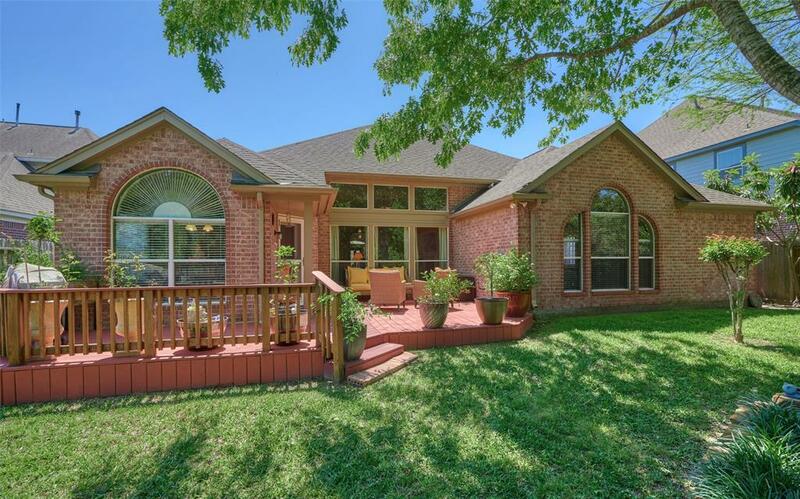 Beautiful one story home with no back neighbors nestled in Anderson Woods. 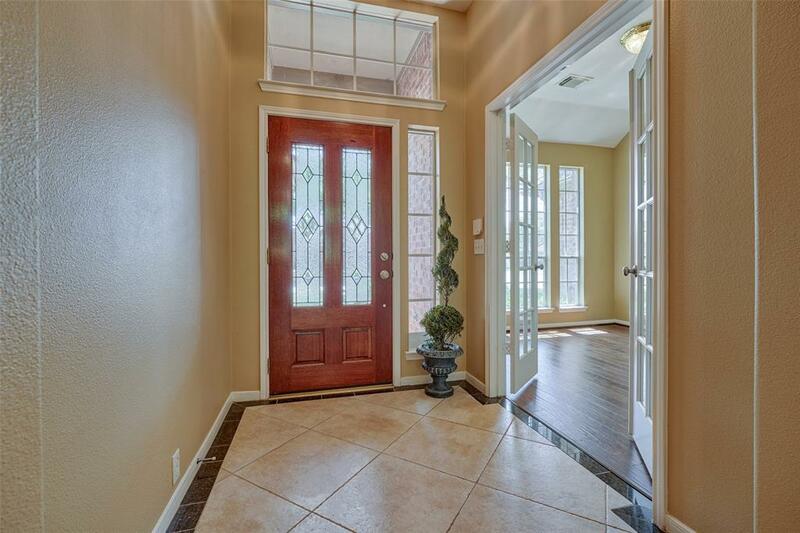 Home offers a study with French doors, formal dining room, spacious bedrooms, a flex space that could be used as a gameroom, family room open to the kitchen and breakfast area and a lush backyard with fruit trees, patio and deck and no back neighbors. 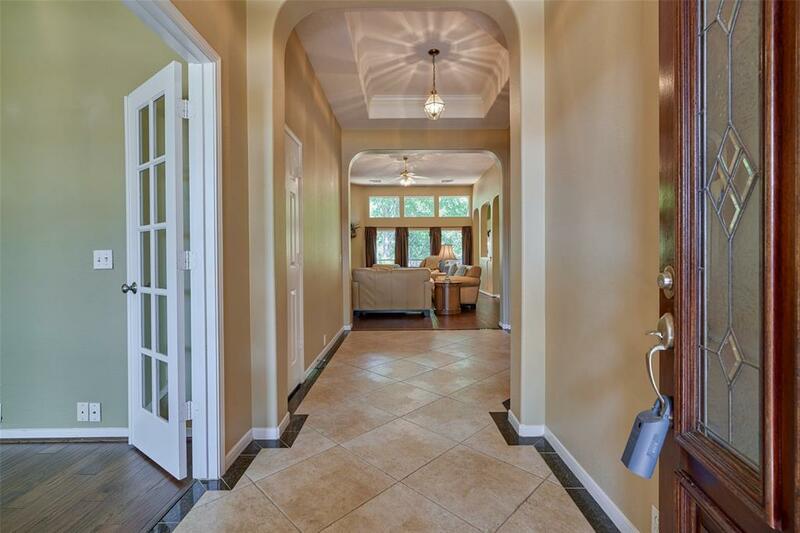 Tiled entryway, tile in all wet areas, wood floors in the study, dining, flex room/ game room and family room. Kitchen boasts stainless steel appliances, gas cooktop, custom drawers throughout perfect for storing pots and pans, tiled floors and matching tile backsplash, Corian countertops and a large breakfast area. Masters retreat has double doors to the master bath that features dual sinks, jetted tub with privacy glass, white cabinets, large closet. 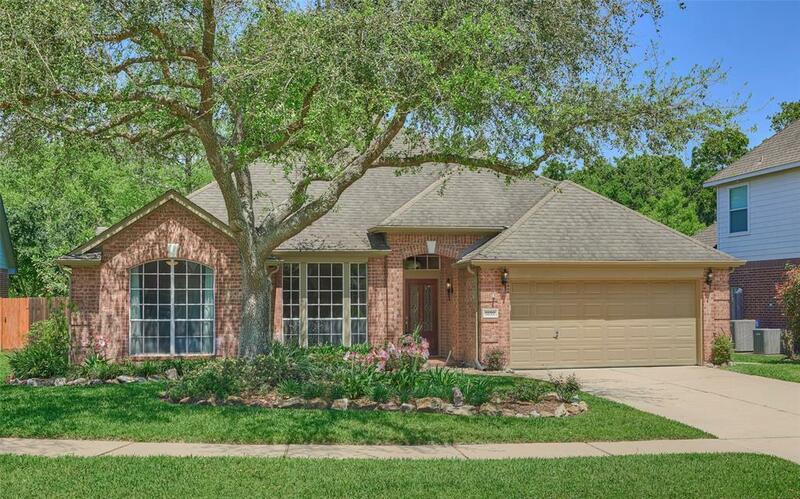 This home is in immaculate condition, you will enjoy sitting in your backyard on the gorgeous deck while admiring the lush landscaping and fruit trees. Never flooded per Seller.